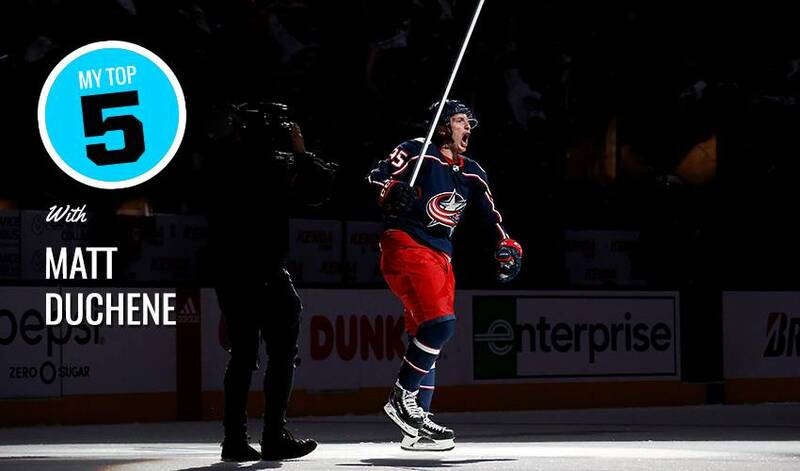 Although Matt Duchene’s light on playoff experience (he skated in just eight post-season games prior to the 2018-19 Stanley Cup playoffs), the Columbus centre is making the most of his third shot at the big prize. In three Blue Jackets wins in three games against regular season champion Tampa Bay, the 28-year-old forward has chipped in with two goals and five points. He’s also been as good as gold when playing for Team Canada, racking up a medal haul that includes Olympic gold, a pair of World Championships titles and a 2016 World Cup of Hockey victory. Now here’s your chance to find out more about the pride of Haliburton, Ontario. “My parents, like so many others, always put their potential personal endeavors aside. What they did for me, taking me to the rink early in the mornings, things like that, it’s something I carry with me to this day. When you are trying to make it to the NHL, it’s a fine line between looking ahead and remembering who and what helped put you on the road towards that goal. 4. Are you ready for some football?